Boeing is preparing for the first tests of its CST-100 Starliner capsule, which will be used to transport astronauts to the International Space Station. Its first unmanned flight is scheduled for the third quarter of this year. A few months later, another flight is due to take place, this time with the people on board. The spacecraft will be launched on top of the Atlas V 422 rocket, operated by United Launch Alliance. 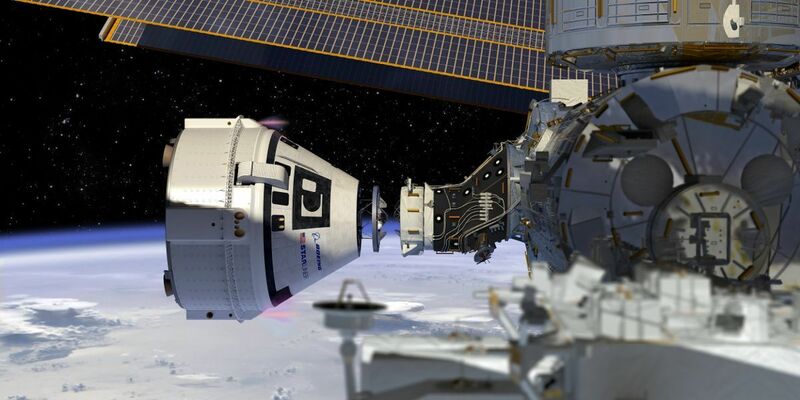 NASA has just announced that it has updated its contract with Boeing as part of Commercial Crew Program. According to the new arrangements, it will be possible to extend the first crewed mission, as well as to add a third crew member. Until now, it was planned that the mission would last about two weeks, but now there is a chance that it will be extended even up to six months. Thus, the flight could be treated as a typical expedition to the ISS - currently, as a standard, missions last from four to six months. At the moment, efforts are being made to determine to what extent it will be technically possible to extend the test mission. At first glance, this information may be surprising; after all, in recent years NASA has been rather known for its cautious approach to new spacecraft. However, this change in contract makes more sense than you might think at first. In the second half of 2019, NASA's contract for seats in the Russian Soyuz spacecraft, which are currently the only means of transporting astronauts to the International Space Station, will come to an end. If there are further delays in the Commercial Crew Program, it may turn out that Americans will lose access to the ISS for some time. An extension of the test mission would allow an increase in the margin of time needed for the certification of new ships for regular flights. In addition to Boeing, SpaceX is also working on its capsule, which will transport astronauts to the ISS as part of a Commercial Crew Program. Dragon 2, the manned version of the ship, which is currently used to transport supplies, equipment and scientific experiments to the station, should also perform its first unmanned flight in the third quarter of this year. It is worth mentioning here that during Dragon's first cargo test flight, NASA also decided to use it to transport equipment and supplies, although this was not initially part of the contract. Two companies, Boeing and SpaceX, were selected as part of the commercial manned flight programme to fill the gap after the end of the Space Shuttle programme in order to prepare spacecraft capable of transporting astronauts to the International Space Station. In 2015, the names of four astronauts who will participate in the first manned test missions of the new capsules were revealed: Robert Behnken, Eric Boe, Douglas Hurley and Sunita Williams. So far, it has not been revealed which astronauts will fly which ship. It is also unknown how the astronauts would have been allocated if there had been a space for three people instead of two during Starliner's test flight. Although both companies are making good progress in the development of their ships, it is likely that Boeing will be the first to transport astronauts to the International Space Station. It is possible that this is why NASA is looking for a way to extend the test manned flight of its capsule.